The landlord-tenant relationship is a unique one. While your tenants are essentially your customers, the dynamic is quite different than in a typical retailer-customer situation. But as with any relationship, communication is the key to a successful landlord-tenant relationship. 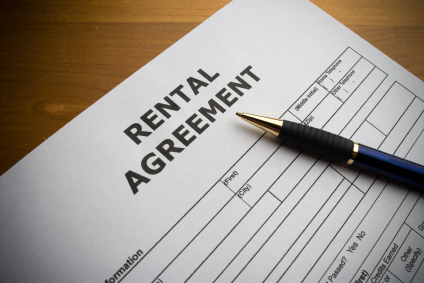 Experienced landlords with successful rental property businesses know a few tricks and tips. Here, we’ve compiled a list of 8 tips to improve landlord-tenant communication, from real landlords. Don’t hesitate to over communicate: More is usually better than less when it comes to communication. Provide checklists, notices, friendly tips and regulations for tenants, so everyone is clear on your expectations. Don’t make assumptions: If you’re wondering about what’s going on with a tenant as it relates to your rental property, don’t assume you already know the answer. Simply ask. Respect boundaries: Even in an attempt to be a good communicator, you can’t call tenants at all hours, expect them to allow you in their unit without notice, or stop them on their way to work to discuss an issue. Be respectful of their time and space. And by all means, stay out of the tenant’s personal life, unless it affects your rental property, the lease or any other legal obligations. Keep the lines of communication open: Let tenants know that you are always willing to discuss a problem or answer a question—and back up your word with your actions. Ask each tenant about preferred means of communication: It might require a little more effort on your end, but to maintain a high level of communication, you need to reach tenants in the manner they prefer. 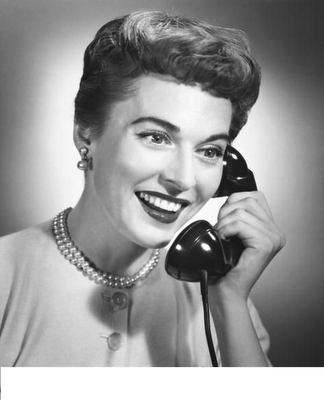 For some, that’s a phone call. For others, it’s a text. Still others respond best to e-mail. For legal notices, U.S. postal mail is usually required, and would not be subject to a tenant’s preferences. Put it in writing: Don’t agree to anything without a written agreement. Allowing an extra parking spot, a kitten, or a wall-mounted flat-screen TV is up to you, but don’t let it happen with just a verbal agreement. Most people would be hard-pressed to later recall what the agreement was, and they usually don’t stand up in court. Clarify: If you’re unclear about something you’re hearing from a tenant, say so. Communicate what you heard and ask if that is what they meant. Listen: This is the most important of the tips for improving communication. Poor listening skills can kill a landlord-tenant relationship. Listening is challenging in some situations, but with practice, anyone can learn to avoid interrupting when someone is speaking, show interest through active listening and provide feedback. A new survey focusing on baby boomers and their home buying plans was released today by Coldwell Banker Real Estate. The survey of 1,300 agents and brokers finds that 87% of respondents have clients who already own or are looking to buy investment property. About 22% of agents responding said that at least half of their baby boomer clients fall into this category. Jim Gillespie, CEO of Coldwell Banker Real Estate, said that baby boomers drive the U.S. economy; while they are a diverse group and cannot be generalized, their attitudes towards real estate can be telling. Right now, the economy is delaying boomers’ decisions to sell their existing homes, whether to downsize or relocate. Coldwell Banker Real Estate’s data indicates that the boomers who can afford to are looking for a retirement home or a second home for investment, and many see now as the time to take advantage of lower home prices. Younger baby boomers (ages 47 – 55) are more interested in purchasing a second home than older baby boomers (ages 56 – 64), by a margin of 34% to 22%. 31% of younger baby boomers are looking to sell an existing home and buy a larger home, compared to just 6% of the older group. Downsizing is more appealing to older (80%) than younger (52%) boomers. For the majority of older boomers, the reason for downsizing is not to save money, but to simplify their lives. Interest rates are historically low, so younger baby boomers are actively seeking income streams for retirement. Perhaps they will be joining the ranks of the nation’s landlords, trading fixed annuities and bank CDs for property management guides and a set of handyman tools. When leases are about to expire, landlords need to decide whether or not to renew and re-sign with a tenant, or notify them there will be no lease renewal. It’s important to know the terms of your lease agreement, obviously, but most require a 60- or 30-day notice from either party if a lease will not be renewed. 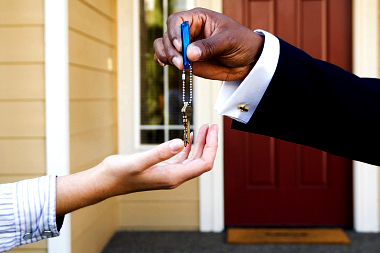 Remember, it’s up to the landlord whether or not to offer a new lease and keep a tenant. Of course, tenants who wish to move have the option to end the relationship at the end of the lease, but if the landlord decides a tenant is out, there’s not much a tenant can do. Landlords need to know in advance if a tenant plans to stay or move. It’s not a bad idea to send the tenant a notice, ask if they’re staying or leaving, and have them check a box: I’m interested in renewing; or I’m moving out. Sending a notice ahead of time is also a great way to remind tenants that any security deposit paid is just that—and that the last month’s rent will be due as usual, with the security deposit covered separately. If the tenant is paying rent on time and abiding by the terms of his or her lease, it’s to the landlord’s advantage to keep the tenant in place, avoiding the expenses and time associated with finding a replacement. Some landlords who want to keep their tenants send a friendly letter notifying them that the lease is up for renewal, and offering a discount on the standard annual rent increase because they are “preferred tenants.” Others put the new rent at the standard rate and offer a $50 gift card, new light fixtures, or some other perk for renewing. The strong rental market means landlords can be a bit choosier. So if a lease renewal date is coming up and a tenant no longer fits your requirements, you simply need to notify him or her that you will not be renewing the lease. Give at least 30 days’ notice, or more if you lease or local laws require it. Late rent: Even if a tenant pays the rent every month, if they pay late every month, it’s a hassle. Get someone in who will pay every month, on time. Breaking terms of lease: Every item in the lease was agreed to by your tenant when they signed it. If you have a tenant who is smoking in a non-smoking unit, or piling garbage around the dumpster instead of in it, or taking up three parking spots instead of one, you may decide that you no longer wish to put up with the headaches a tenant like this can cause. High maintenance: Certainly, legitimate complaints about repairs and maintenance are your responsibility as a landlord. But if you have a tenant who complains about a light bulb burning out, or the lack of air conditioning in a unit that never had it, or any number of other insignificant non-issues, you have the right to not renew the lease. Landlords, is Laminate Flooring the Way to Go in Rentals? Laminate flooring can be easy to care for, long lasting and practically indestructible—which should make it a great choice for rental properties. However, landlords who are experienced in dealing with laminate flooring have differing opinions. If you’re considering using laminate flooring in your rentals, read on for some pros and cons, provided by actual landlords. Laminate floors are good in moist areas, but won’t tolerate standing water, or you’ll soon have separation in the seams. Laminate flooring can be fairly expensive. The floors can tear when moving heavy items, such as refrigerators. Cheaper level flooring will show wear in heavy traffic areas. It cannot be refinished or sanded. The surface can be slippery, with a risk of falling tenants or children. High traffic homes, like rentals, may not be the best fit for laminate flooring products. They can attract a higher level of tenants. Laminate costs less than hardwood. The variety of wood species available is higher than ever. Some are warranted for 20 years or more. 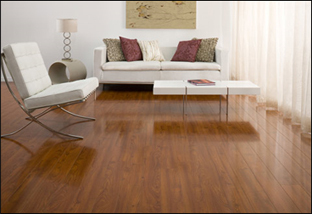 Laminate floors are easy to maintain. They don’t buckle, stain or warp. The finish is often scratch-resistant. Laminate often holds up better than carpet. So there you have it. Some landlords have installed laminate successfully, while others say tile, vinyl plank flooring or inexpensive carpet work better for their rentals.